Aliisza and Kaanyr Vhok have returned from their attempted invasion of Menzoberranzan and turned their sights on Sundabar. But before she can complete a mission in that beseiged city, Aliisza finds herself in the one place a demon would never want to go, no matter how sure she is of her wits and cunning: the very heart of Celestia! Join everyone's favorite succubus and her half-fiend boyfriend, introduced in the War of the Spider Queen series, in the first installment of their own exciting new trilogy! 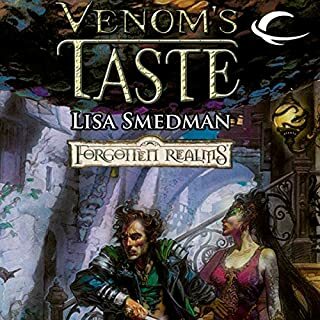 Enter the mysterious world of the snake-like yuan-ti.... Hlondeth - A city populated by the humanoid serpents known as the yuan-ti, and ruled by House Extaminos... This powerful House of Serpents is the ultimate target of The Pox, a human cult whose members worship the goddess of plague and disease, and who begins to work the deadly will of Sibyl's Chosen, a dangerous cabal of yuan-ti who will turn every human in the city into a freakish tainted one, unless Dediana, a yuan-ti half-blood, can stop them all. Lolth - patron deity of the drow, Spider Queen, regent of the Demon Web Pits - has once again stirred the dark elves into roiling aggression against the rest of Faern, reveling in the chaos born from her dark schemata. This is the Rise of the Underdark. In Iltkazar, the last subterranean kingdom of the once resplendent dwarven realm of Shanatar, King Mith Barak faces a siege of drow soldiers, spies, and assassins looking to seize the powerful city and the ancient magical artifacts hidden there. A plague has ravaged the population of gold dwarves of the Great Rift. It starts slowly, but the progression is devastating. One dwarf has eyes that have become hard and glassy like marbles; a second dwarf has skin that flakes off in sharp, hardened scales; the skeleton of a third is petrified and fused in place; a fourth wastes away with blood that has turned dark and muddy. Clerical magic doesn't help. Neither do herbal remedies, nor spells meant to break curses. 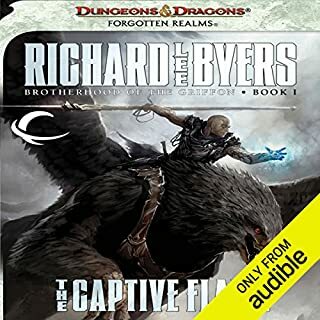 The latest title from popular Forgotten Realms® author Richard Lee Byers. 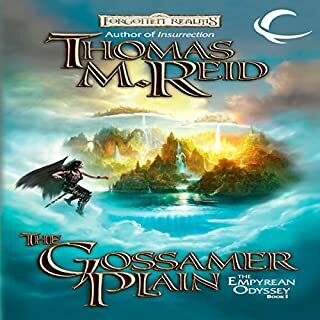 The dead are restless in the magic-rich realm of Thay, and an evil necromancer begins to gather them to his cause - a cause that will change the face of Faerûn forever. The Halls of Stormweather, a novel in seven parts, is the first book in a series that explores the mean streets of a city where everything has its price and even the wealthiest families will do anything to survive! Ed Greenwood - the creator of the Forgotten Realms begins the tale with the capable but embattled patriarch of the Uskevren family. Clayton Emery - the heir to the family fortune is brought to life by the author of Star of Cursrah and the Netheril Trilogy. Child of prophecy? Harbinger of Doom? Zaltys is a girl like any other to grow up ranging the jungles of the Southern Lluirwood. She’s a crack shot with a bow and no stranger to the dangers that lurk beneath the deep forest canopy. On expedition with her family to harvest the forbidden terazul flower, a powerful drug that has gathered many a dreamer into its narcotic embrace, Zaltys is about to unearth a truth long buried by the feculent loam of deception. 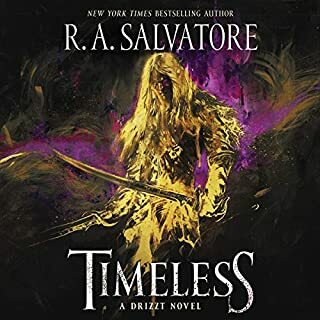 As the veil is lifted on the world Zaltys thought she knew, a pathway to the Underdark promises the answers her family never gave. Venturing forth in search of truth, Zaltys finds betrayal to be a much easier quarry. But it will take more than a lode of lies to quell the venom in her veins. ©2012 Wizards of the Coast, Inc. (P)2012 Audible, Inc.
Why Marijuana Is Safer than Alcohol? The story is good, but the performance, well... Since it is about a girl, I would have enjoyed the performance better if a woman read this story. I felt the reader rushed through the book so I found it hard to relax and listen. 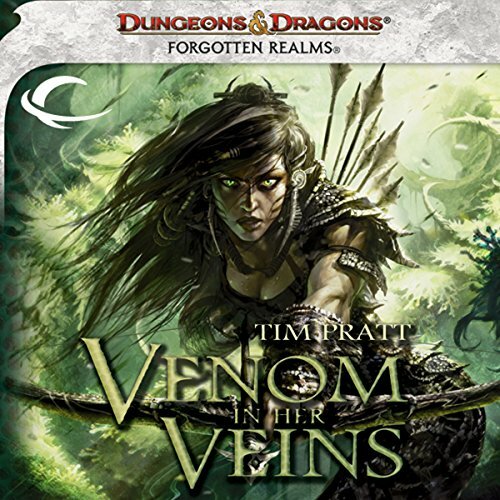 If I was listening to this while I was running instead of to relax after work maybe I would have liked the performance better..
'Venom in Her Veins' is pretty much a classic D&D adventure; it is a short journey into danger for reasons simple and noble. People won't get anything special from this book other than a minour look into the life of a region rarely visited in the Forgotten Realms, but that is also enough. The book's main draw is its charismatic and unique characters and how they deal with issues. Overall, this book isn't a masterpiece, but neither is there anything wrong with it. It is simply offering simple fun and adventure. Absolutely worth a listen if you simple want something light and easy to listen to for some hours of enjoyment. The book had great potential. It has unique characters, a great structure for the family it's centered around, and a little comic relief. But as a whole this book seemed more like an introduction to a bigger story. But as I understand it, it's a stand alone novel. I had a great time with this story. The only drawback was the narration. At times he rushed through the whole story. He didn't really have any inflection while narrating the story which I think took a lot away from the great scenes dispersed through out the book. He had no emotion in his narrative at all, it was very brisk and business-like. Almost like he just narrated for the cash, not so much for the performance. Just download the book. It's a better experience. I would like to see a series made out of the heroine's travels. Is there more to this story? Would you try another book from Tim Pratt and/or T. David Rutherford? T. David Rutherford voice is WAY TOO fast...it's awful without much variation. Better to read the book. The story is good, inventive. 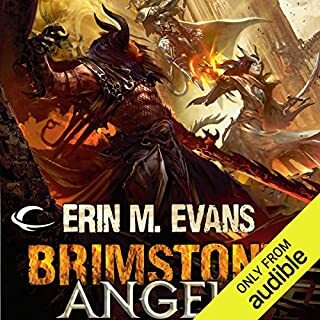 I've looked for hours in this new Audible D&D section to find a book that is NOT the romance and/or psychiatrist-notes-collected-on-the-neurotics (er, I mean, characters) stuff that nearly all Fantasy (Middle Ages tech/culture/myths) novels seem to have been warped into lately. Nearly all I’ve found so far seemed likely to be the above, or else in the right ballpark but SO HEAVY and WEIGHTY. The kingdom will fall, all magic everywhere will die, the world (and universe) is gonna DIE unless this band of heros –yada yada yada. I was kind of hoping this new D&D subgenera had escaped the plague. It seems to me that D&D novels should be more like what we had in mind when playing it, if we did. A story about a band of adventurers, operating entrepreneurially, who sometimes also take up a mission if the pay is right or a partner is captured. Movies like Conan the Barbarian, Pirates, or in SCI-FI, Serenity (before the crew gets caught up the govt and zombies thing). Or like the TV series Highlander, Hercules, or Zina. Or even the ancient Jason and the Argonauts from Greek times. Like that in scope and feel. Not HUGE and WEIGHTY and so VERY IMPORTANT TO ALL EVERYWHERE. The only one like that I’d found so far is Prince of Ravens and the narrator performed it just right for the story. 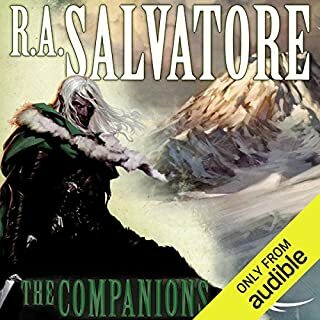 Highly recommend that one and, please Audible, more of Jack Ravenwild with the same narrator. This is the scope and feel a D&D novel should be. I thought I had found another with this Venom, and maybe the writing is there but I don’t know. The narrator’s voice(s) seems good but he is speed-reading it. From chapter 3 forward it’s like one long fast sentence (probably 3-5) untill he finally has to inhale for 1/4 second and then keeps rushing to the end. Arghhh! What I think I heard (could absorb going that fast) seems to be right. I pushed to bear it an hour but I have to give up. Entertainment is not supposed to be annoying and hard, it is supposed to be entertaining. Please have this one redone. It could even be the same narrator but just have the guy slow the heck down.